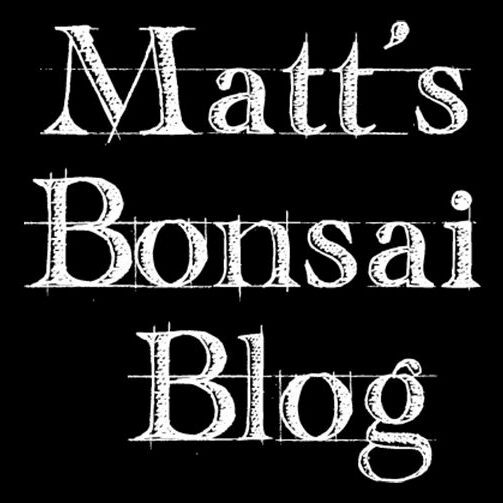 Welcome to Matt’s bonsai blog. In short this is a fun place where I share my passion for bonsai. Please don’t take this site as anything too serious. I’m not a professional bonsai artist or nurseryman, I just love bonsai and everything that goes with it. I remember the first time I saw a bonsai. I was 13 years old when I walked into a high school agriculture class and saw a 30yr old mangrove bonsai tree sitting on the front desk. I will never forget the reaction I had to seeing it. At the time I didn’t know what it was but from that day I knew bonsai would forever be a part of my life. We learnt about tree health that day and made our own bonsai in the next class. I often talked about that mangrove bonsai with my agriculture teacher and continued to learn from him. Later that year he had to go to America to see his mother. He asked if I would like to look after the mangrove bonsai for six weeks while he was away. I jumped at the chance and this experience really drove home my interest in Bonsai. Three weeks before he returned home all the leaves on that mangrove bonsai fell off. OMG what have I done, I’ve killed this perfect 30 year old bonsai! I had followed all his instructions to the letter. A week later all the leaves started growing back and by the time he got home the bonsai looked fantastic. He said it looked better than it ever had. For the next 15 years I dabbled in bonsai as I grew up. Most of my trees did not survive. In my mid 20s I really got heavily into bonsai and in 2003 at age 30 I started having lessons from Megumi and Alex Bennett. I feel so incredibly privileged to have studied bonsai under Megumi and Alex. I have so much respect and admiration for the Bennett’s that I will be writing an article on them so watch out for that one. In 2003 I joined the Bonsai Society of Sydney. I was a very active member for many years and joined the committee. During my time on the committee I assisted in the running of many exhibition and I have demonstrated on several occasions. Highlights include being on the working committee for the 2005 National Bonsai Convention where I got to meet Bonsai Master Mr Kimura, assisting Mick Balzary demonstrate in 2007 and eventually demonstrating myself. Now I am still studying bonsai, mostly on my own and occasionally with my teacher Megumi. I’m trying new techniques and still learning. I don’t think this will ever end. My collection grew to over 100 trees at one point. In my opinion this was far too many to achieve high quality results so I reduced my stock to about 40 trees. You will see I also have a love for photography, particularly macro photography. I will share close-up shots of bugs, insects and diseases I come across. I hope you enjoy this site. 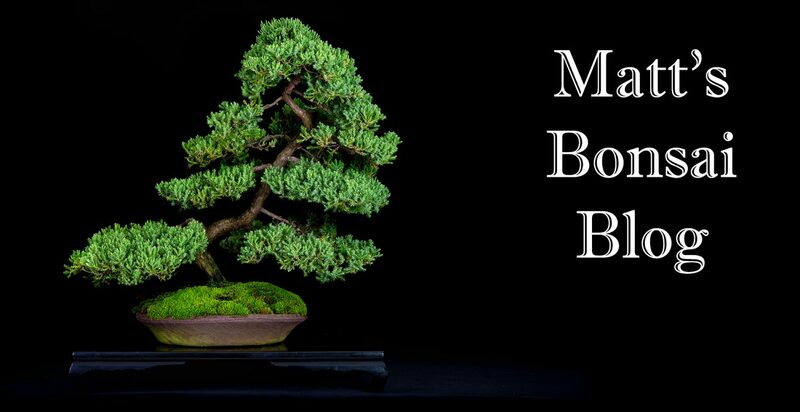 If you have any questions about anything on Matt’s Bonsai Blog please feel free to contact me via the contact link on the bottom of the about page. * The content contained within Matt’s Bonsai Blog has been provided in good faith and should be considered a general source of information only. This is not a commercial website and there is no commercial relationship with any of companies, products or people mentioned. The information provided does not express the opinion of others or any manufacturers mentioned. All due care is taken when compiling this information, however we do not warrant that this information is accurate, free from omissions or up-to-date including any recent changes. The content does not take into consideration your personal circumstances. You should make your own independent assessment of the information provided and you should not rely solely on this information when making decisions.